Did you catch much of the Spelling Bee last week? It finished up last Friday. The winner, Anamika Veeramani, knew how to spell nahcolite and stromur. Do you? Yes, you caught me: the correct spelling for a rheometer that measures arterial blood flow is actually stromuhr. Well done. English spelling is full of oddities and inconsistencies. 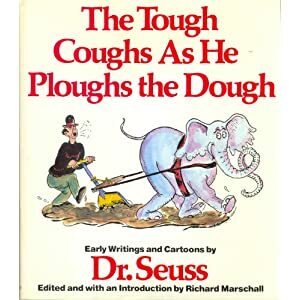 Humorists and reformers alike love to string together non-rhyming orthographic siblings like “The Tough Coughs As He Ploughs the Dough“. The humorist pauses for the laugh, but your true reformer plows (ploughs?) ahead with serious mean (I mean mien). Joe Little, my buddy from high school, is a true reformer. He puts his money where his mouth is too. Not only is he the director of the reform-oriented American Literacy Council, he actually traveled to Washington DC for the recent Spelling Bee so that he could protest its very existence. Not that he has anything against clever kids like Anamika Veeramani. It’s just that he thinks that, as his sign says: “English Spelling Spells Trouble”. Listen to what he has to say in this sympathetic USA Today video. By the way, that’s Joe in the bee costume. Where do you come down? Are you convinced? Should English spelling really be reformed? The ever-informative Language Log has a good discussion about the relationship between spelling vs. rate of learning. But it all seems to be fairly equivocal. On the face of it, English spelling IS nutty. But who gets to reform it? And what gets left behind? As I see it, the simplification of Chinese characters is a good historical lesson to learn from. In the name of stamping out illiteracy, Chairman Mao pushed through a set of drastically simplified characters. It’s easy to see the motivation, but the old characters didn’t go away, and as a result, some 2000 new (simple) characters have been added to the traditional set of around 50,000 characters. Is Chinese better off or not? The debate rages on. Finally, now that you’re wound up about spelling, would you risk a wound to your pride by attempting the Spelling Bee’s sample test? If you take it, let us know how you did. Author gulleyPosted on June 10, 2010 Categories UncategorizedTags Language4 Comments on Should English spelling be reformed? Suppose you saw a headline like “Maine harbors concern over Bangor landing.” The story is about an airplane that lands in Bangor and ultimately causes distress among Maine politicians. But you might get four words into the headline with the mistaken impression that someone is concerned about the harbors of Maine. Then you hit the word “over” and stop short… Maine harbors concern over… huh?. You might get all the way to the last word before you fully realize a verb/noun parse error with the ambiguous word “harbors”. Some headlines are so spectacularly ambiguous that you might read them through three or four times and still have no idea what they mean. As you might expect, the wordheads over at the Language Log have come up with name for this kind of headline parsing problem: crash blossoms. Why? Here is the story behind the name. It’s just a new name for an old problem, of course, but it’s still fun to collect them. Two more from the Language Log. McDonald’s fries the holy grail for potato farmers. Yum! said Sir Galahad as he licked the ketchup and grail grease from his lips. This one is not so much amusing as truly vexing to fully unwind: Scottish National Party signals debate legal threat.